It wasn’t difficult to understand why talent scouts would arrive en masse at the Stade Félix Bollaert on a regular basis in 2011. Racing Club Lens has a long standing reputation for producing gifted players, and in 18 year old Raphael Varane Lens knew they had unearthed something particularly special. Tall, elegant, commanding, technically outstanding, positionally sound and with a turn of pace, there were occasions during a difficult Ligue 1 campaign in which Varane stood out like a sore thumb. Too good for this team and certainly too good for Ligue 2. With United’s Manchester and Newcastle among a host of suitors willing to table offers designed to take the youngster to England, Varane’s preferred destination was always going to be the Santiago Bernabéu once Real showed their hand. It involved Zinedine Zidane’s personal intervention to seal the deal and a fee in advance of €10m, but a six year contract was agreed and awarded to a player that Jose Mourinho suggested Los Blancos fans would soon fall in love with. Intelligent off the pitch as well as on (Varane completed his Baccalaureate exams in economics and philosophy before agreeing to the move), the French youth international was involved in all aspects of his transfer. Personal assurances were sought that this was a move to Real Madrid, not just the Bernabéu substitute’s bench, hence the need for Zizou’s input. And so far, things have gone well. Varane has been involved with the first team picture at Madrid since he arrived and has started a reasonable number of games for the club. He has looked composed, assured and classy – all of the traits that attracted Madrid to the Lille born defender in 2011. 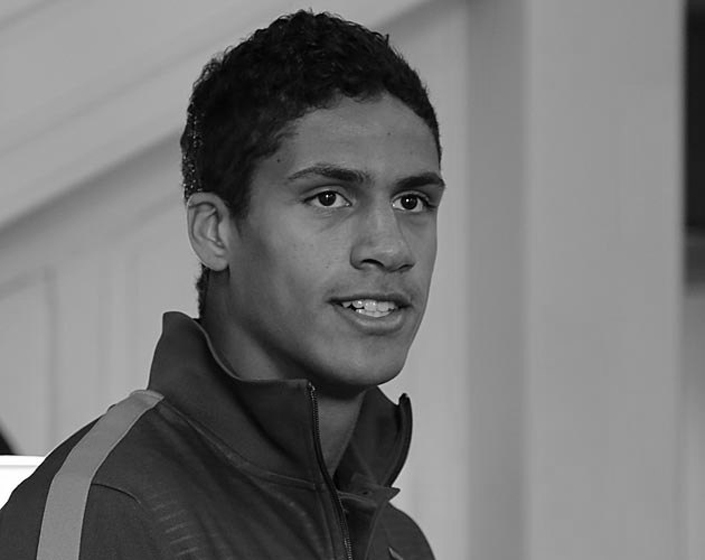 With compatriot Karim Benzema close at hand to help with the adjustment to a new home, Varane looks settled. He’ll want more games, but there is every indication that they will continue to arrive, a Rolls-Royce of a centre back is at hand. If there is an area of concern, it’s that Varane may be guilty of resting on laurels. It’s difficult to imagine saying to anyone at Real Madrid that they haven’t made it yet, but for a player labelled by some as an heir to Hierro, life must feel pretty good. Varane comes across as grounded, but it wasn’t that long ago that we watched Varane and his France under 21 teammates have an absolute shocker against Norway, which cost coach Erick Mombaerts his job and France a place in the European U21 championships finals. In addition, Varane was given the run around by a slick Borussia Dortmund in the Champions League recently, underlining the rough edges that still need to be ironed out. There have also been headlines of late suggesting that Varane had fallen out with Jose Mourinho, and that Manchester United were keen to sign the player - something Varane himself was quick to deny. We are sure that the rumours are just that, and if Varane has had words with his coach, it is likely to be down to frustration at not playing enough. Which manager doesn’t want players like that? Raphael Varane is an exceptionally gifted young defender who could go on to become one of Europe’s best and a future captain of both club and country. He is at one of the biggest clubs in the world and is learning from one of the finest club managers of all time. It would surely take monumental stupidity to blow things from this position, but Varane must remain guarded.